North West Province, which extends west from Gauteng to the Botswana border and the Kalahari Desert, is blessed with breathtaking scenic beauty, vast plains of African bushveld, superb game parks and the mind-boggling opulence of Sun City Resort where you'll discover magnificent sporting and leisure facilities. 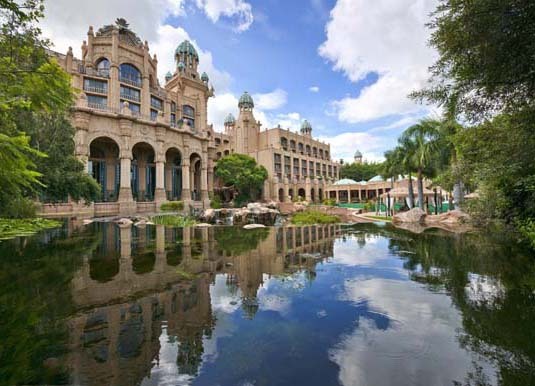 The world-famous Sun City Resort lies in the heart of untamed bushveld just over two hours drive from Johannesburg. 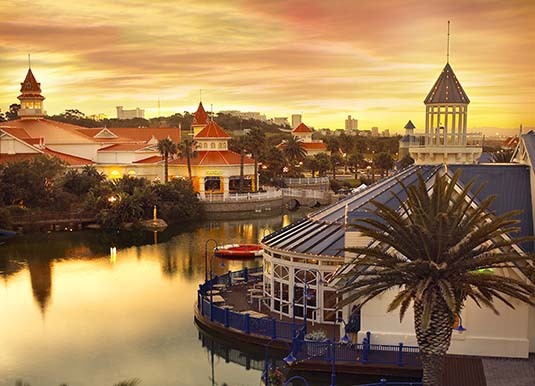 Far enough from South Africa's major cities to qualify as a real getaway from hectic city life, Sun City Resort offers a myriad of leisure and recreation options for the entire family. Activities range from adventure sports and safari options to a fantastic golf course, Valley of the Waves waterpark and one of the biggest casinos in Africa. Sun City is not just a resort it's an experience! Right next door is the malaria-free Pilanesberg National Park which is set in the crater of a long extinct volcano. Prior to 1979 Pilanesberg was farmland, but thanks to Operation Genesis – the largest game translocation ever undertaken at the time – nearly 6,000 animals of 19 difference species were introduced to the reserve. Today this dramatic landscape and its unique ecological richness supports a wide variety of plants, over 7,000 animals and 300 bird species that are not often found living side by side. 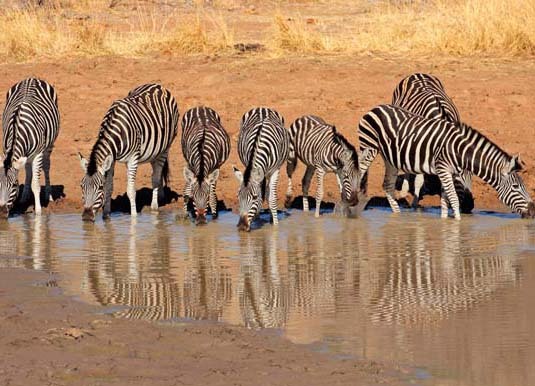 In fact virtually all of the animal species native to southern Africa can be found here including populations of lion, leopard, black and white rhino, elephant and buffalo (the Big Five). Activities within the Park include game drives or wildlife safaris, either self-guided or guided, game walks, birding and balloon safaris. Further north is the Madikwe Game Reserve, an enthralling joint venture between the state, the private sector and local communities. One of the largest game reserves in South Africa, Madikwe is a unique family friendly malaria-free safari destination home to a variety of wildlife, including the Big Five and one of the most successful wild dog rehabilitation programmes in the country. Several exclusive game lodges have been established in this reserve and activities include game drives and bush walks. Why visit Sun City & North West? Call and speak to one of our travel experts who have experienced Sun City & North West personally. The gateway airport for this region is Johannesburg, which is approximately 11 hours (non-stop flights) from the UK. 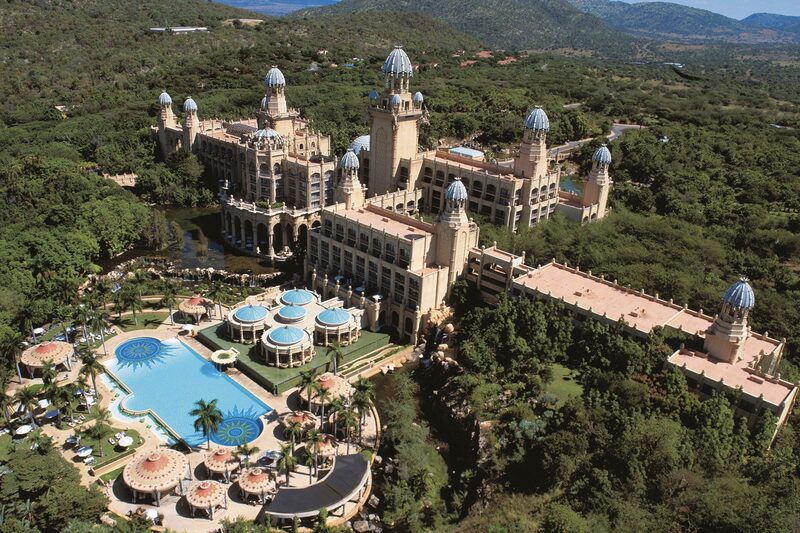 Sun City Resort is 2½ hours drive from Johannesburg. Pilanesberg National Park is right next to Sun City Resort or just 2 hours drive from Johannesburg. Madikwe is 4 hours drive from Johannesburg, although it does have its own airstrip with one flight a day from Johannesburg. This region of South Africa offers almost year-round sunshine. The summer months (August to March) can be very hot and often bring brief, refreshing afternoon thunderstorms. Winter brings dry, sunny days and chilly nights.